We are thrilled to be sponsoring Dixie Rock 30, the longest continuous running indoor climbing competition right her in Chapel Hill on February 15th & 16th. This week on the Glass Top Counter we bring you a candid conversation with Dixie Rock founder, Bill Webster and Recreation Specialist Keith Dodson climbing into the past to learn how Dixie Rock started and how it has sustained itself for 30 years. May it inspire you to never stop climbing to your reach your dreams. Tell us how Dixie Rock got started? What has kept Dixie rock going for 30 years? The first few years it was a regional event, but that swiftly changed when other events began to come on the scene. We decided very early on to make it a local, family friendly, low-stress event that focuses on fun not competition. We might have been the first to do away with isolation for competitors for most of the event in order to make it more fun. For years we had a huge amount of door prizes to engage the audience. We had events/contests so audience members could win large prizes in between the climbing. We had themes some years to add fun. We made sure all competitors could climb some of every route. We make sure that for most routes the first few moves are reasonable easy. It was common back in the day for comps to have routes so hard many people couldn’t even get off the ground. Imagine paying a fee and traveling to a comp and never getting to the top of the wall. Fun vs. competition has always been the key. Second the organizers and volunteers. It would be impossible without a lot of dedicated folks. The number of volunteer hours has been extraordinary. We would love to have you join us on Instagram @dixierockclimbing, Facebook, or at www.chapelhillparks.org to find out more about how you can be involved. The Town is still willing to support it even though the days of 150+ competitors are long behind us. The 150+ days are not behind us yet. As of Feb 4th we have had 96 climbers sign up to be a part of Dixie Rock 30. This is a big improvement from last year’s total of 58 climbers and the 54 the year before. What is Dixie Rock's mission? 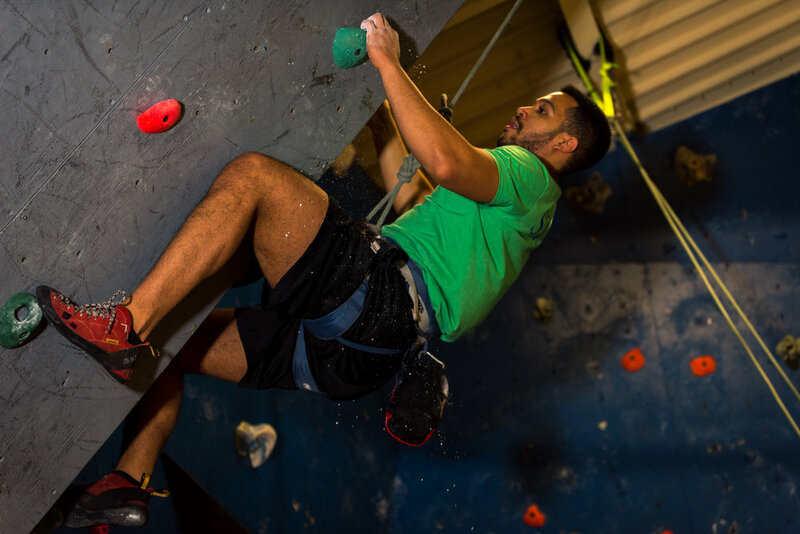 Provide a fun, low key climbing event that focuses on the local climbing community. What are some of the obstacles that have overcome to pursue this dream? The main thing is that Dixie Rock now competes with mega gyms. We have old fashion plywood walls that are relatively short, no room to expand, limited hours, no bouldering, etc. We have no money and limited budget for this event which always makes it a challenge but local business partners like TB&C make a big difference. What makes Dixie Rock 30 unique from previous years? We are bringing back the USA Climbing part of the comp. This has not happened in in the last few years. We are also having food trucks on site for the first time. We will have over $7000 in prizes from different companies. The biggest thing is that we will have Townsend Bertram & Company present Dixie Rock 30. This the first time we have ever had this much support from a local company. I think we can go bigger next year and maybe make it a part of our Adventure Program Festival. We can have more food trucks, and more of the sponsors on site during the event. Make it a full two day event with the community comp one day and a full day for a USA Climbing comp on the other. What piece of advice do you have for outdoor enthusiasts wanting to put on events? What would you have done differently with Dixie Rock if you knew then what you know now? Not sure. I think we changed with the times pretty nimbly over the years. The wall has always been a community place. It was built entirely by volunteers. The DR events have been made possible by armies of volunteers. So please call, email or DM us on instagram to ask how to help. Bonus question: What do you want the Dixie rock legacy to be? How do you want Dixie rock to be remembered? Join us for Dixie Rock!